Yes, you have the unique opportunity to ask whatever you want someone form team StarDoll! Julia StarDoll the Brazilian Official Doll will answer to all your questions! 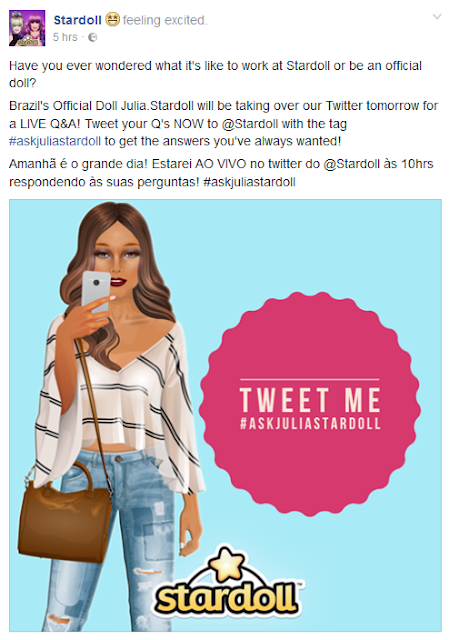 Just Tweet your question with #askjuliastardoll and very soon she will answer you.